This product was designed by experts who know how to make an impressively practical, well-featured. Unoccupied, it comes in around 14.5g or 32lb. It's made from high quality components and manufactured to excellent standards. 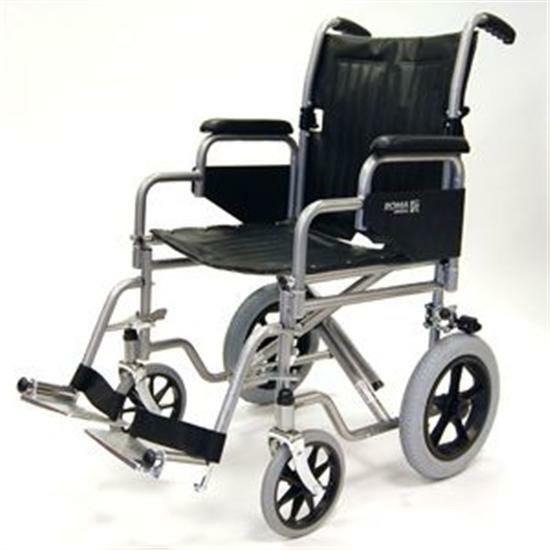 Transit wheelchair with detachable padded arms,fold down backrest and height adjustable swing away detachable foot rests with heel loops.